Lanky, canopy-dwelling and distinctly vocal. Common in summer in the East; prefers open woodland habitats, including parks and suburbs. 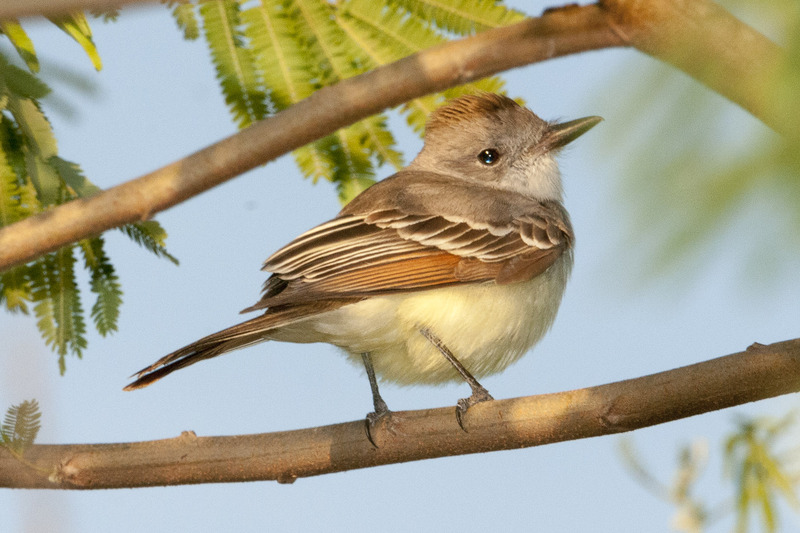 Large, lean flycatcher; large, grayish head and breast, bright yellow belly and rufous in wings and tail. Often dwells high in canopy, so best detected by distinct upward whistle call. Feeding birds perch on high branches to sally out and catch large insects. Cavity nester, and may be attracted to nest boxes set 12-20 feet high; nests often contain shed snakeskin when available. Lifespan up to 14 years. Population ~ 6.7 million and stable.